Vivid yellow. Intense orchard and pit fruits on the mineral-accented nose; vibrant orange zest, iodine and floral notes add urgency and lift. Sappy and penetrating on the palate, offering concentrated nectarine, pear and tangerine flavors that are given vibrancy by a core of juicy acidity. Impressively focused and nervy on the long, mineral- and floral-tinged finish, which shows outstanding clarity and thrust. 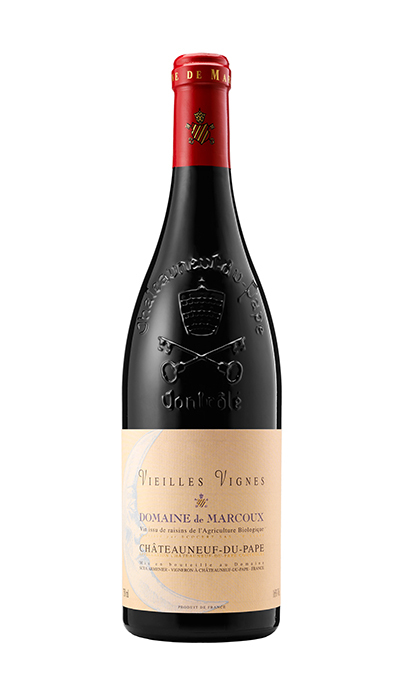 There's something Chablis-like about this wine..
Raised mostly in concrete, the 2015 Chateauneuf du Pape features gentle strawberry-raspberry fruit and loads of subtle spice. It's medium to full-bodied, marked by silky tannins and a long finish. It's not the most powerful, concentrated wine, but it's certainly one of the most elegant. It's 85% Grenache, with the balance a mix of Mourvèdre, Syrah and Cinsault. 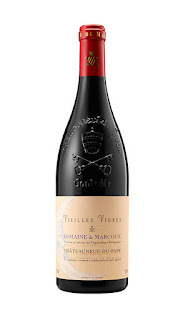 The 2015 Chateauneuf du Pape Vieilles Vignes (about 97% Grenache) was entirely destemmed. According to Sophie Armenier, its alcohol level is a whopping 16+%, but it was completely concealed by the wine's intricate spice complexities. Licorice, cola, cinnamon, clove and allspice all interweave with cherries to form a silky web that glides across the palate and into a long, long finish. Absolut Elyx Single Estate Vodka. #1 Champagne in the NY Times!!!! Beinne Dubh The Black Single Malt Scotch. 94 point Chard - best price in the country!